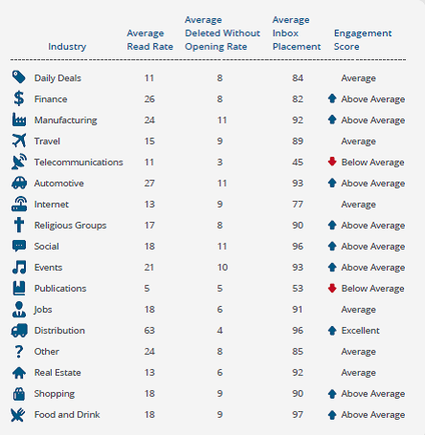 But inbox placement dipped sharply over holidays, according to a report by Return Path. More than one in 10 marketing emails in Australia failed to reach the target’s inbox in the 12 months before May, according to a report by Return Path. 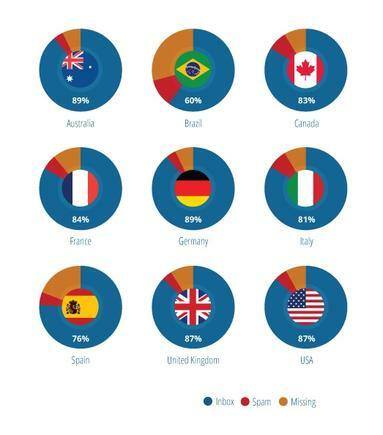 However, Australia had an 89 per cent success rate for marketing emails over the year-long period, which was still one of the highest results in the world, Return Path said. No surveyed country reached 90 per cent, and Brazil fared the worst with a 60 per cent success rate. Of the 11 per cent of emails that failed to reach inboxes, 4 per cent got caught in spam filters and the rest went missing, the report said. The Australian success rate was a big improvement over the previous financial year, when Return Path reported that only 80 per cent of emails reached the inbox. Within Australia, the distribution industry scored the best success rate at 96 per cent, while telecommunications came in last with only 45 per cent of emails reaching their intended targets, the report found. Return Path cautioned that performance varied widely from one brand to another and throughout the year. Performance was also erratic across ISPs, with email programs often performing well in some systems but poorly in others, it said. Australia’s success rate dropped sharply during the holiday season, dipping to 84 per cent in November and never recovering. The drop was influenced by more Australians marking emails as spam and the presence of spam traps, decoy accounts used to catch spammers, Return Path said. “What seems to have changed is mailbox providers’ decision-making ability, which has become increasingly complex, with users having a greater ability to determine whether messages are delivered to their inboxes,” said Return Path Global CEO, Matt Blumberg. Return Path used a representative sample of about 492 million commercial email messages sent with permission to consumers around the world.